Enjoy selecting from our unique dog collars in quality leather or synthetics. 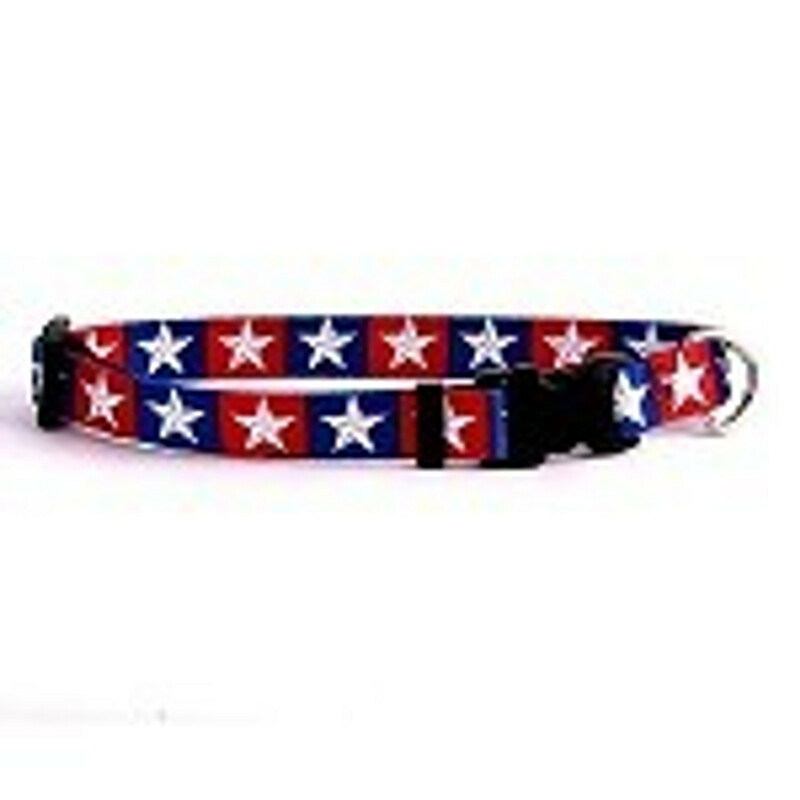 Our fun dog collars come in a wide array of adorable prints and patterns. We have adjustable dog collars including: camouflage, skulls, and tartan plaid from great US manufactures such as Yellow Dog,3 Dirty Dawgs and Bison, all made in the good ole' USA. Unique dog collars such as Hudson Bay leather dog collars are offered as an expression of elegance and beauty. Make us your store for adjustable dog collars today! Leather Dog Collars now have their own selection and are absolutely beautiful. Choose from handcrafted leather dog collars in various colors and styles. From Studded dog collars in pink to super strong dog collars in earth tones, this selection must be seen! We even have beautiful braided collars from an artisan in Oregon. From the makers such as Paco Collars, Auburn Leathercrafters, and Oak Creek, your dog will have a wonderful handmade leather dog collar to adorne his neck. If he has to wear a collar, why not have the best for him?